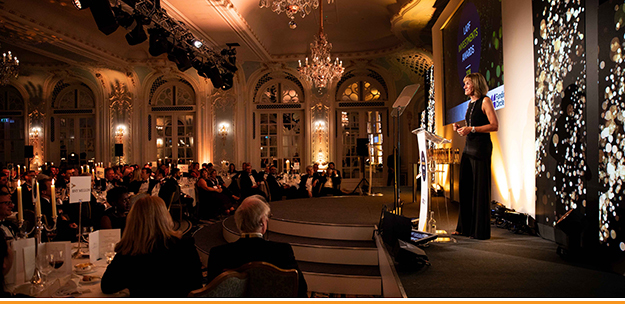 Over 200 people from local government pension funds, consultants and asset managers were at London’s Savoy Hotel to see BBC star newsreader Fiona Bruce present this year’s LAPF Investment Awards. One of the highlights and the most emotional moment of the evening was the Judges’ Award to the late Kieran Quinn, who passed away unexpectedly on Christmas Eve, 2017. Kieran was the chair of the Local Authority Pension Fund Forum and rightly earned a prolonged standing ovation from the room for the award, which was collected by his wife, Susan. Another very popular award was for Denise Le Gal, chair of the Brunel Pension Partnership, for the outstanding contribution of the year. Denise won this for her exceptional professionalism, commitment to the LGPS and her willingness to help others. Judging by the reaction on the night, many present shared the judges’ verdict. Among the LGPS funds, West Yorkshire enjoyed a very good night, with a joint award for best scheme administration, which it shared with NILGOSC, and the accolade of LGPS fund of the year for funds with assets over £2.5 billion. Bromley won the corresponding award for smaller LGPS funds, those with assets under £2.5 billion. The asset pool of the year went to the Local Pensions Partnership, while GLIL, the infrastructure manager backed by LPP’s founders, the LPFA and Lancashire County Pension Fund, as well as Greater Manchester, West Yorkshire and Merseyside, won the collaboration of the year awards. Strathclyde Pension Fund was another to enjoy a productive night, with the award for investment strategy of the year, as well as being highly commended in the category for best approach to ESG and Impact Investing, which went to Camden. Among the other awards, Surrey won the scheme governance award, while Lothian Pension Fund picked up the award for private markets. 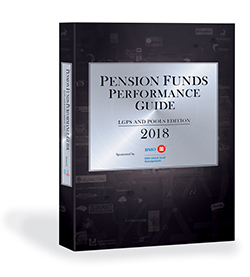 On the manager and consultant side of the fence, Pantheon was crowned LGPS fund manager of the year, while bfinance won consultancy of the year.